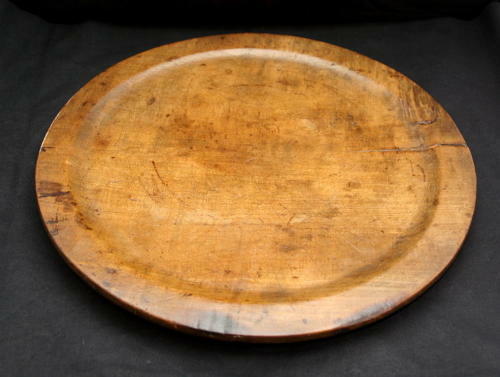 A Beautifully patinated Rare English Serving Platter, Beech c.1770. Cheese dish topped form. split / crack to edge could be repaired.